The South Florida Chapter of the NVSBC featured Tom Leney, Executive Director of the Dept. 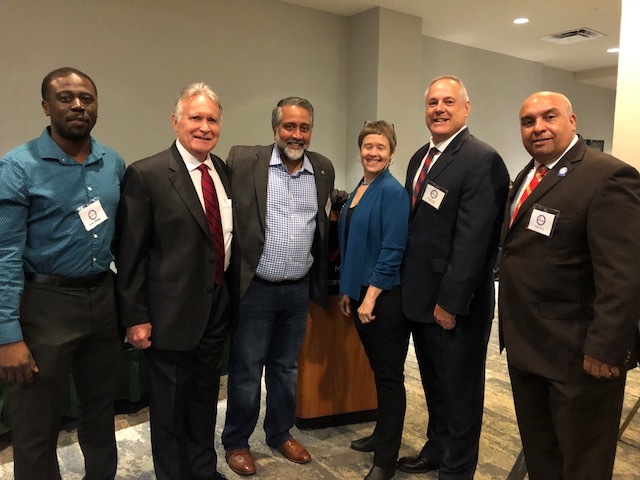 of Veterans Affairs and Chris Harrington, Director, Office of Small Business Programs for USSSOCOM, Tampa, Florida at their October 3rd meeting. 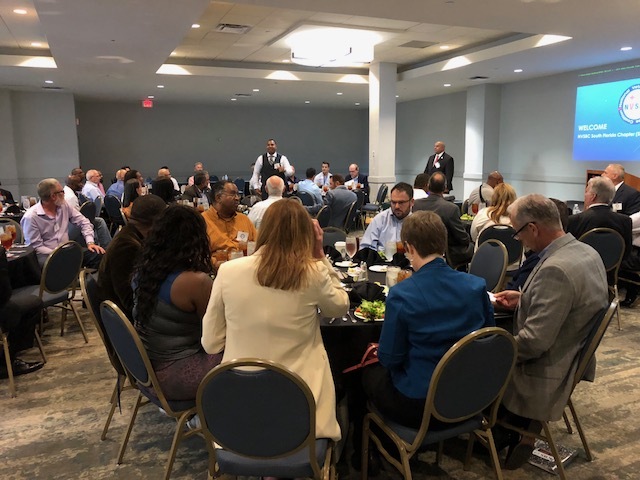 The meeting was held at the Marriott Hotel, North Fort Lauderdale, a location convenient for businesses from Dade, Broward and Palm Beach Counties. This dinner meeting had record attendance (80) for the Chapter based on many new Veteran Owned businesses in attendance as well as current NVSBC members. Roger Reyes, President of the Chapter covered the latest NVSBC news and values of membership in the organization. 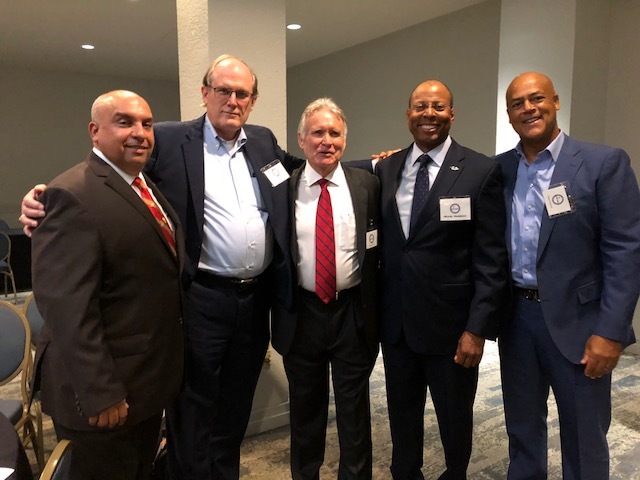 Prior to the dinner, Tom Leney hosted a Round Table discussion with diverse construction businesses in South Florida and simultaneously a Boot Camp led by Judy Bradt covered the key topics for businesses entering the federal arena. Tom Leney presented the value of Veteran Owned Construction businesses attending the NVSBE Conference in New Orleans later this month. These businesses will have access to the Program Managers for many construction projects throughout the country. The Chapter recruited new members for their Advisory Board and Event Committee and will be hosting their next dinner meeting in December. Dinner presentation at the Marriott Hotel, North Fort Lauderdale. Event was sold out. We will have a breakfast for NVSBC members in November.